Thought Garage: Jan Lokpal & Corruption : Where should we go from here? 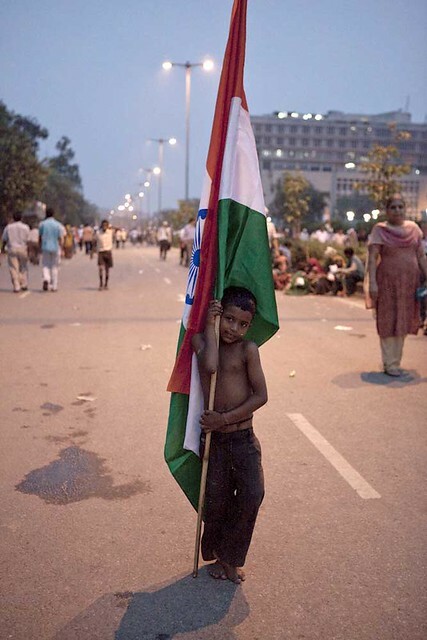 Jan Lokpal & Corruption : Where should we go from here? By any and every measure, the whole Jan Lokpal and/or Anna Hazare movement against corruption has been phenomenal. Tremendous response and discussions all over. Do not know what triggered so many people to come out and support in their own ways. I am not sure even today, everybody really understand the whole issue and what this bill is practically capable of. Some don't know what it is all about. Some understood a little. A whole majority of people are yet to read the bill. However, the movement as it is, some thing of huge importance, we need to think about. The bill may take a while to come into existence and actively enforced. But if we can leverage the rage and support of general public, we may be able to do something immediate and that make a difference in common man's life. May be, we can encourage more participation in other civic issues, enlist greater participation in politics in general. May be we can start focus groups to research, inform, educate and devise policies that benefit all. Crowd sourcing as many policies as we can. There may be better people outside the Govt. Machinery that are for some reason totally unwilling to involve in any of political affairs, may now reconsider to contribute their knowledge and expertise.